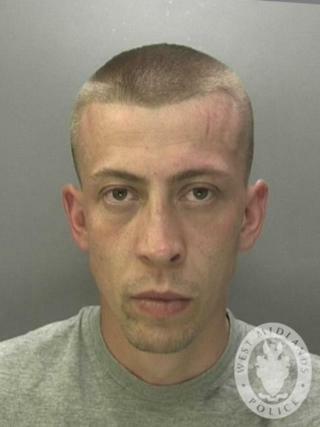 A man has been jailed for life for the street murder of a friend he had met at school. Daniel Kennell, 27, suffered a stab wound to his heart in an altercation in St Austell Road, Walsgrave, Coventry in July, and died in hospital. Ryan Preston, 27, will serve a minimum of 22 years after being convicted of the murder on Thursday. He had claimed he acted in self-defence and at school was bullied by Mr Kennell. But the Crown Prosecution Service (CPS) said the men were in fact friends, and during the three-week trial it was able to present evidence from school records to prove the bullying claim was untrue. A jury at Warwick Crown Court on Thursday returned a majority guilty verdict of 11-1 after two days of deliberations. At a sentencing hearing on Friday, Preston was told he would serve 21 years and 167 days in prison due to days already spent on remand. His mother Tracey Preston, 54, who lived with the defendant at Hermitage Road, Wyken, Coventry, was cleared of a charge of assisting an offender. CPS senior prosecutor Nicola Heath said: "Whilst the weapon was never located, the offender didn't deny the stabbing, however he claimed that he acted in self-defence. "He said that Daniel had bullied him at school and he felt scared of him. "The CPS was able to present evidence from their school records to prove that this was not true. "Ryan Preston stabbed Daniel Kennell in broad daylight and fled the scene without offering any assistance to his injured friend." Mr Kennell's family previously described him as the "centre of our universe".